Is there a goal you’ve been pursuing relentlessly? Is there one you’d like to start pursuing relentlessly? How could you make today count to get going further on your goals? Even just 1%? Let us know in the comments below, and we’ll send you FREE SGPT STICKERS! Want an awesome way to get motivated every day? Check out SGPT’s 6-Month Training Program! 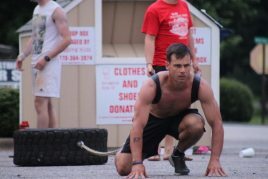 QUESTION: Coach Brad; I want to become a Navy SEAL – do you have any training workouts to get ready for BUDS? 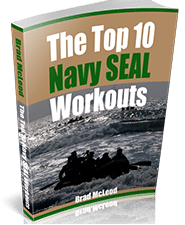 ANSWER: Check out the Freak Frogman workout ebook that I wrote for my son to help him develop his mind and body. Do the daily workouts and post your results in comments for accountability. Email me once a week and let me know your status and any questions. I personally look forward to helping you reach your goal. QUESTION: My goal is I’d like to get rid of the love handles and tighten up the stomach. Lose 30 pounds. What’s the best program you have to help me do this? Answer: Check out our Online Membership. It’s bodyweight workouts and light running. Very easy to learn the movements. New workout posts daily in our members area. 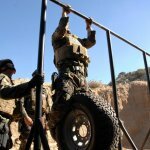 Lots of nutrition and interviews with SOF operators to keep you motivated. Best value is a 12-month membership. You will save money and since you have skin in the game be motivated to get in shape. Relentlessly pursuing your goals day in and day out requires a foundation of awesome nutrition. Every second counts. 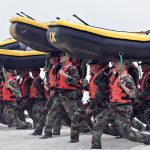 Hooyah to that! I’m in a situation where it would be easy to lose focus on what I really want. Because life seems to be comfortable right now. Too comfortable. I have to stay disciplined and focused and not get distracted by all the comfort that surrounds me. I will keep chasing the dream. Every second of tomorrow, of next week, and next month. Because Jocko is right: every second counts! And I intend to use all those seconds to build on what I already accomplished. Thanks for sharing, bro. Thanks for the comment Alex. 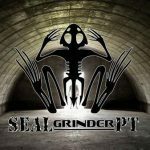 Email brad@sealgrinderpt.com with your address and we will send you stickers. 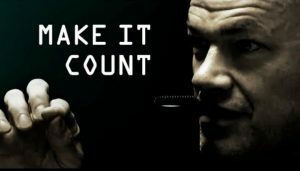 I can make it count. Y reading an extra page a day, by putting in an extra rep with each exercise and by giving myself 5 extra minutes to pack so I stay on clean eating!